Jerusalem - In what may be the first published interview with the Chalban, Israeli Maayanei Hayeshua weekly bulletin published little known details about his past and how he became one of Israel’s most famous mekubalim today. A first glance at Rav Chaim Ezra Hakohen Fatchia doesn’t reveal the illustrious mekubal behind the simple facade. Without a beard and long peyos, and wearing only a simple cap, one wouldn’t know that the Chalban has been deeply involved in kabbalah since he was 9. “I have yichus going back many generations. My teachers were mekubalim who opened the door to me to this world. At the age of 9, I began to read the kabbalah seforim of my father, mori v’rabbi Rav Ezra Hakohen Fatchia, that were in our house. Without asking my parents, I went up to the roof and learned myself. At a young age, I went to the mikvah and maintained taharas haguf. I came to the mekubalim Rav Shmuel Ervatz and Rav Hillel Simchon, and asked them to teach me. I told them, “It says in seforim that whoever immerses himself in the mikvah, it is permitted to teach him.” So they taught me. The Chalban is the last of a group of 4 mekubalim who were called after their jobs: the Shoemaker—Rav Moshe Yaakov Ravikov (from Lithuania), the Painter—Rav Yehuda Patilon, and the Street Cleaner - Rav Yosef Voltoch. “Heaven arranged that we met. When Yehuda Patilon came from abroad, I began to learn with him. I brought the others to join us. We met in Rokach street in Tel Aviv and learned together. We also had Rav Yehuda Segal, Rav Meir Sabato, Rav Yoshua Sharbani, and Rav Avrohom Cohen in our group. “I didn’t want to reveal myself. But I saw that the Jewish people is under great pressure during the period of the Gulf War. I saw that if we don’t begin to pray, the situation wouldn’t be good. All the sages of that generation had already passed away, like Chachom Menachem Menashe, who knew how to make tikunim. So I began to tell people—let’s get the rest of us together, and heaven arranged that Rav David Batzri (who had known my father) founded Rav Sharabi’s Nahar Sholom yeshiva for kabbalah. When I was 12-21, I went around with Rav Avraham Hakohen to all the shuls to collect contributions so we could give the learners money for food. We saw miracles. We would go through the market street to Nachlas Yitzchak and experience kefitzas haderech. Another amazing thing was whenever we entered a shul, we always came just when they finished shacharis before taking out the Sefer Torah. It would happen to one shul after another, it was all beyond nature. “Rav Yoshua Sharabani had gilui Eliyahu Hanavi. Once he told me he learns all Shabbos together with the Ben Ish Chai. When my brother died of typhus, no school would take us kids in. The only school that would was the Alliance school. My father saw he had no choice, and he sent us, saying he relied on the education at home. They insisted we take off our hat during studies, but I refused despite their shouts and insults. After school, I went to learn with Rav Patilon and other friends. “Sometimes I see things in a dream, which is one sixtieth of prophecy, which prevents many tzoros from the Jewish people. I see that we have to be worried about Iran. It’s not simple and I encourage others to pray. During the Gulf War, I gathered 2000 people with lulavs to the kever of Rav Yochanan Sandler before the war. We prayed that Saddam Hussein should leave this world and missiles shouldn’t cause harm, and that Hakodesh Baruch Hu should put in Bush’s head to fight and let us just sit back and watch it. “I’ve already given exact intelligence which resulted in an army operation. Of my own initiative, I called a senior official in the Defense Ministry and gave him details. When he mentioned it to his higher-ups, they were in shock. They were still checking the information out, and here I was confirming it for them. “Concerning preventing Iran from getting nuclear bombs, I told the authorized people that they should tell the prime minister not to wait, not for Obama or anyone else. We have to keep praying and not giving up on our prayers. Hakodesh Baruch Hu wants tefillos of the Jewish people. We have to pray for each thing. “Concerning Shalit, I pray that Hakodesh Baruch Hu should bring him back alive. That’s the only thing I can tell. I don’t want to say anything else. I pray that Hashem will return him alive and not as a corpse. “Every minute is the beginning of Geula. The beginning of Geula will be Kibbutz Galuyos. If all the exiles will come, all of them, to Eretz Yisroel, and they won’t remain in the Golah, that will be the beginning of Geula. As long as they are living there, it’s not good. “First we say ‘Hatzilenu min hagoyim’ and then we say ‘Kabtzeinu mi hagoyim’, and then the Geula comes. The Shechina is still in Golus, Do you ever see anyone praying over the Shechina in Golus? We have to pray that the Shechina should return to its place, and I don’t see that people are doing this. Each one is sitting under his vine. But where is the Shechina? “How does one pray for the Shechina? There is Tikkun Chatzos, there are siddurim with prayers, there is a special Yehi Rotzon for the Shechina. Are we lacking prayers? In the Shemoneh Esreh, do we daven es tzemach David avdecha with the same kavanah as when davening for a refua? Today, the Chalban teaches in the Hasholem Kolel in Givatayim, which is parallel to the Yeshivas Hasholom of Rav David Batzri in Yerushalayim. He teaches shiurim there, guides the avreichim, and serves as a mashgiach to the students. He is a disciplinarian, from the time he was a drill sergeant in the army. “The avreichim get a high stipend, but we have very high demands from them. They have to wear tefillin all day long, they have to take difficult exams, must immerse themselves in the mikvah frequently, and be very careful about bitul zman and learning Torah without hesech daas,” he says in satisfaction. Pelahdik. I learn Nefesh HaChaim and Tomer Devorah. That alone is good for my neshamah. wow this guy sounds like a total nut! does he know the winning lottery numbers also? was he born with special powers? did he ever open a gemara in his life or is he learning just kabbala since he's nine? does he learn bechavrusa with maddona? does any one believe what he says??? Nice article but does anyone know if this guy is legit? It does seem strange that someone who is supposedly on such a high level wouldn't grow his beard and payot. His sideburns are rather short if you know what i mean. I just don't know about this unless i hear from someone who knows him first hand. Theres Nebach many kabalah fraudsters out there. Look at the guy who teaches madonna. I'm sure he'd tell you some rosy stories as well. In the zehut of the Lelover Rebbe ZT"L and the Lelover Rebbe Shlit"a, Rav Fatchia Ha Kohen should have success in everything! I have heard of this yid before. I'd love to know why no beard? “ wow this guy sounds like a total nut! does he know the winning lottery numbers also? History books say that Abulafia --- one of the greatest Kabbalists of all time --- could not read a page of gemorah. I personally met the Chalban during a wedding accompanied with one of the famous tzadikkim of our dor, what the tzadik said about the greatness & power the chalban has after he met with him was something that I did not here him ever saying about anyone else. And that is besides the comments the Chalban said to me in my face which was shocking and brutally true. If you see the Chalban you will not even think that this person really sees what we poshita people don’t see. There's a general rule about kabalah learning and knowledge. Those who have it do not talk, those who don't have it, talk a lot about it. Without meaning to denigrate anybody who shaves, a central important concept in kabalah is not to touch the "dyukna kedisha", the holy look of a beard and payos of a Jewish male. If you can read Lashon Hakodesh and have access to a Zohar with Sulam, you too can be an almost instant kabalist. The Ramchal was known not to have a beard. It is said that the Vilna Gaon would don Shabbos garments when learning the Sefarim of the Ramchal. You all could remain skeptical and sometimes you might be right. Bottom line is there are people out there endowed with divine spirit and you in your skepticism could miss out as a result. Der vos veist, zogt nisht. Un der vos zogt, veist nisht. Thus I am a bit skeptical. Counted 39 times he used the word "I" (using the find command, I wasn't that bored). I know nothing about him, he may indeed know a lot of kabbalah. but I know Moshe Rabeinu would never speak like that... nor any Moshe of any generation. no beard is an old kabbalistic tradition. the ramchaL, belive it or not, HAD NO BEARD. See Gilyon Maharsha in shulchan aruch yorah deah on Lo Sakifu who tells of this tradition too. There was a well known meshuganer in NYC who was renowned, according to himself, as a kabalist. He would go around to sefardic store keepers and literally extort money from them or he would curse them. Once he said to me, if I show you, will you give money to any tzedaka you want? He told me several things that there was no way he would have known. Yes I gave $10 to tzedaka. But he was a meshuganer nevertheless. I'm not saying this chalban guy is nuts but straight he surely is not. Knowing kabala, telling you that your wife is pregnant and will have a boy, or that you had a broken arm at 10, and going several times a day to the mikva do not make anybody holy. I have been by him many times. The man is Kodesh Kadashim, the purest of the pure. He has a koach to see things that is beyond anyones imangination. All of you are so sad its like chas Vshalom you are Lot's son in laws. Its the real thing.There are real tzadikim in the world if you cry from all your sins you will maybe be zoche to find them and fianlly do a real tshuvah. Hashem does not leave a generation empty of tzadikim we are just not worthy. Cry cry cry real tears and just maybe. He says "First we say 'Hatzilenu min hagoyim' and then we say 'Kabtzeinu mi hagoyim'", well in my Siddur in "Ata HarEisa" for Simchas Torah (which is a passuk in Necemia) it says "V'Kabtzeinu V'Hatzilenu min hagoyim". Is this just a small mistake? “ I personally met the Chalban during a wedding accompanied with one of the famous tzadikkim of our dor, what the tzadik said about the greatness & power the chalban has after he met with him was something that I did not here him ever saying about anyone else. And that is besides the comments the Chalban said to me in my face which was shocking and brutally true. If you see the Chalban you will not even think that this person really sees what we poshita people don’t see. Why should he get the benefit of any doubt. He seems like a classic fraudster. He tells us today about things that happened in the past that he supposedly predicted. But of course, even about those things he does not give enough information to verify his claims. He doesn't give a singe prediction abouth the future that will in time be able to be verified. In my view, if you want something from Hashem, daven with a little more kavanah. I can't see how going to some guy that comes accross as a scam artist is yiddishkait. Just wondering, does he charge for visits/brachos and if yes, how much. Anyone know? Mr #2- watch what you say. I know the chalban shlita and I have personally met with him. It is scary what he can see. Please be careful this Tzadik has finished shas many times and is really covod hatorah. If someone thinks other3wise be careful the gemorah warns on besu Hatorah. Owns a Cheese factory and never takes money he has not earned. #13 who was the 'Tzaddik' you are referring too? Truly great people do NOT talk about themselves.....especially in a newspaper! In Hodu that we say every day at Shacharis, in EVERY siddur, it says "ViKabtzeinu Vihatzileinu Min Hogoyim." I believe the RAMCHAL shaved. I dont understand it either. the chalban is legit. he is a traddik gomur and is well respected by the big traddikim of this dor. regarding the beard, im not quite sure why he doesn't have one. the shitta of the italian mekuballim, (the ramchal and his talmidim) was that one shouldnt have a beard. when the italian mekuballim made aliyah they decided to grow beards. at that time in eretz yisroel, there was a debate among them whether one should have a beard only in eretz yisroel but not in chutz l'oretz, and others held that one should always grow a beard even in chutz l'oretz and presumably they felt they made an error in that when they were living in italy they didn't have beards. it could be there is a daas yochid who is of the opinion that one shouldnt have a beard ever, and that is the shitta the chalban upholds. interestinly, nowadays- the sephardic mekuballim only daven with kavvanos reshash in eretz yisroel but when they travel abroud they do not- and hold it is assur to do so. this is obviously not the shitta of the ashkenazic mekuballim who are mekhaven reshash wherever they are. just to clarify: when the italian mekuballim didn't have beards, its not bec they had a 'hetter' not to, rather it's bec they held it was assur (for whatever reson, vin isnt the forum to explain)to do so. the general opinion amoong mekuabllim nowadays is that every jew should have a beardd. There are Jews without beards and beards without Jews! Curious why is this man coinng out just now. The Chasam sofer was mekabel aidus about the maram mipaanu avi hamekubalim, shloi hishir Saar echod. Basicaly the C"S had reliable testimony about the greatest mekubal who shaved until the last hair. It is known that the Munkatcherhad dificuklty with it & tried to say it was aidus sheker, and that what the Tur says on Erev Rosh Hashona megalchin haroish Vehazken, was a tous siofer. However Roiv minyan ubinyan of poskim take those at face value, going by that he too may be the biggest mekubal of our times & may shave for the samme reason as the mahram Mipaanu, he may even be a nitzutz of him. I too have heard from someone who went to him, that he met him at work, he took no money & was aware of his sins, and his form of income when & where, he told him a tikun & was very nice too after the musar he was also aware of his suffering. As for not telling future [asidos], no tzadikim or mekubalim usualy do, because it changes & tikiunim could change it. They tell you the past so that you correct it. As for telling the newspaper he is concerened fo the Klal, and unfortunatly today the channel is the media.The rest is so that you should listen to his message. Do some DD he sounds legit. actually the shita of the italian mekubalim such as the rama mepanu is not to have a beard. however i think thats only in chutz laaretz. It looks like he's a serious man. He might even be like the great Reb Groshkover. I too would like too am interested in why he has no beard. I agree with what others said about those who know dont talk and those who talk dont know, however, maybe he talked because they went and interviewed him. I doubt he went and sought out the interview. I never heard of him otherwise, so maybe he is from the former category. “ Why should he get the benefit of any doubt. He seems like a classic fraudster. He tells us today about things that happened in the past that he supposedly predicted. But of course, even about those things he does not give enough information to verify his claims. He doesn't give a singe prediction abouth the future that will in time be able to be verified. Just watch how you talk, while only hashem knows if a person is a tzaddik or not, but he does seem like a great great tzaddik. I personally visited him once, which btw he does NOT accept people officially, and he does NOT charge for the visit, and he runs a business for his living. There is no such place as "Panu". 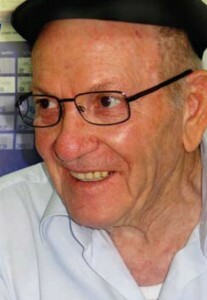 R Menachem Azariah's name was di Fano. I know first hand that the chalban says tikkun chatzos every night with tears plus he is the one who supports the yeshiva of rabbi batsri. The reason for him not having a beard I dont know but it does show the man is not one of those who are looking for fame don't you think so? I also know that he could read kevittlech and know all the details. He also owns a cheese factory which brings him in nice money and he is in the factory till noon. He dosent need the money he supports rabbi batsri yeshiva. Note the picture on top its rabbi batsri son standing besides him. The problem with those who have not heard from this tzadik vkodosh before is because this dor is not zoche to have and/or know its tzadikimm mainly due to a lack of emunas tzadikim. The secular philosophy of skepticism and cynicism is harming our emunah in HKBH, torah and tzadikim. The last 2 decades have transformed us as a society of WYSIWYG (What You See Is What You Get, the motto behind the PC virtualization), whereas we as Jews always knew the opposite - what you see is NOT what you get - holiness & pureness is not visibe to the materiallistic eye & our emunah is not a product of scientific reasearch. Tzadikim were always greater in their lifetime than what was visible, and if we are zoche we can have some connection to those of our time. A vital prerequisite to learning kabbala is being somewhat proficient in 'nigleh. Anyone who professes to reverse the order is a fraud. Do you believe YOU would recognize the Lamed-Vav tzaddikim if they stood in front of you, came to your door or davened in the back of your shul? The Chalban, shlita, is a well known quiet mekubal in Eretz Yisroel among the sephardim. He SAYS in the article why he is standing up now! And if you believe such people don't learn, then look in the mirror and ask yourself if you account for every minute of the day? For this tzaddik does! If a beard and peyos make a tzadik, Baruch Hashem I guess I can start taking pidyon nefesh! guys like him lower the power of kabblah..there is a story with the steipler ztl (although i am not sure how much legitimacy he has..i havent heard any stories about him that involves moving things with his eyes or foretelling the future) a choson once came to him and said that a very famous mekubal at the time told him that based on the shaimos of him and his kallah, they should not get married. the steipler got very angry at the choson and told him to leave. The choson, in shock, asked the steiplers ztl wife why the steipler ztl got angry at him. she went in with him to the steipler ztl and he said the following; if you dont marry this girl you are giving up on your zivvug. I think this guy dosnt need a mikva only a doctor or just a sledge hammer in the head!! he sounds like a total ball guyva and a nut. But yet again i dont know him so i will not judge him, but a kabula from the divray yoel Zt'l that who ever knows dosn't talk and who ever talks dosn't know!!! There will come a day when you will cry bitter tears over what you just said. Do tshuvah. “ Counted 39 times he used the word "I" (using the find command, I wasn't that bored). I know nothing about him, he may indeed know a lot of kabbalah. but I know Moshe Rabeinu would never speak like that... nor any Moshe of any generation. and you did five times. What history books are those? And how much gemoroh did these so-called "historians" of yours know, that they could judge the matter? Why do you believe such an absurd claim by obvious maskilim or worse? Or did you just make it up yourself? it says that the mikubalim dont know who the other ones are ( especially the lamed vov). theres also a concept in kabbalah that its almost complety assur to shave your beard. abissel tzuyushet. but if a cow wears underwear, than pizza will taste better. I cannot say i personally know the chelban, nor have i ever met him. however, i do know the reason he has no beard and payot, the result of painful and devastating experimentation by dr. mengelle in WWII. Just by the virtue of being a holocaust survivor, and even more so having emunah and remaining frum after witnessing such a churban, this tzadik has more zechut than any of us posting here. So even without arguing the validity of the kaballah he practices, an official apology should be posted by every poster claiming a frum holocaust survivor to be a fraud. And obviously for the taunts about his lack of beard and payot. It doesnt say what he was learning before age 9 - for all you or I know, he already knew shas baal peh, when he was 9. It never says that he reversed the order. I have never heard of him (which reinforces my case that he is legit) but from the article he sounds real to me. Just think how many "frum" people have been in the news recently for some crime, fraud, molestation, friends of Ahmadejan, etc that have the beard, peyos & black hat that are really far removed from being a tzadik??? He must have his reasons for not having the "dyukna kedisha" - even if its only to hide his greatness, but there are/have been many gedolim who do things which none of us simpletons trully understand (like making havdola on Tuesday & wearing 100 pairs of Tzitzis). There are many things that are beyond our understanding but I would not take the Chalban's words lightly. i personally went to see him privately every time i go to israel. he doesnt take a penny from any one and he is very hard to see even a few min with him. He owns a milk factory and works there. you should watch what you say about mekubalim. i personally met him. he doesnt take a penny. and he doesnt even want visitors. he works in amilk factory. he is a great tzadik!! “ The problem with those who have not heard from this tzadik vkodosh before is because this dor is not zoche to have and/or know its tzadikimm mainly due to a lack of emunas tzadikim. The secular philosophy of skepticism and cynicism is harming our emunah in HKBH, torah and tzadikim. The last 2 decades have transformed us as a society of WYSIWYG (What You See Is What You Get, the motto behind the PC virtualization), whereas we as Jews always knew the opposite - what you see is NOT what you get - holiness & pureness is not visibe to the materiallistic eye & our emunah is not a product of scientific reasearch. Tzadikim were always greater in their lifetime than what was visible, and if we are zoche we can have some connection to those of our time. Mr Anachnu, it seems as if you have your head stuck in the sand. We live our lives according to halachah, not kabballah. What you see, IS what you get. The tzaddikim that we revere and respect, are those who have proven beyond a doubt that they are holy and learned. How do you make the distinction? Those who have spent their entire lives learning G-d's torah, becoming prolific in halachic knowledge, are going to become accepted as tzaddikim NATURALLY. There is a universal understanding that this is a holy person, based on his ACTIONS. Those who crave respect and recognition because they SAY SO will never be universally accepted. As an example, R' Moshe Feinstein ZTZVK'L, was universally accepted because he so obviously spent all his time doing G-d's will. He didn't claim anything. He was. One is required to judge all Jews favorably and to accept them regardless of circumstances, but saying a few vague mystical statements, does not require one to accept this person as holy. Both my siddurim, one is Nusach Chabad & one is nusach Sefard, both also say "v'Kabtzeinu v'Hatlileinu". Great counting, I know I've still got a lot to work on and not close to being a Tzaddik (halevai benoini). (you can make that a total of eight). which is exactly what he is saying and was likely transcribed wrong by the person who interviewed him. He is saying exactly what all of your siddurim say: "V'Kabtzeinu and only then V'Hatzilenu". In order to be saved, we first need to all go to Eretz Yisroel. This is my first time on this site and I am shocked at the amount of hatred and baseless, stupid comments from people who not only have no right to be saying anything, but who also don't speak English. We can all use Moshiach; he certainly will not come with these kinds of comments. Is this mekubal a holocaust survivor?? Can you please tell me how to get to speak to him asap? “ Please be careful this Tzadik has finished shas many times and is really covod hatorah.